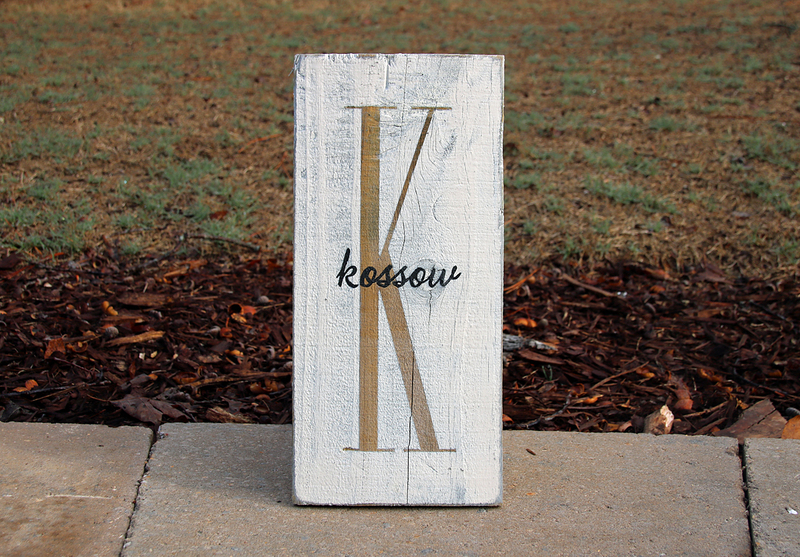 Everyone has a spot in their home for this slim and chic painted wooden monogram sign. 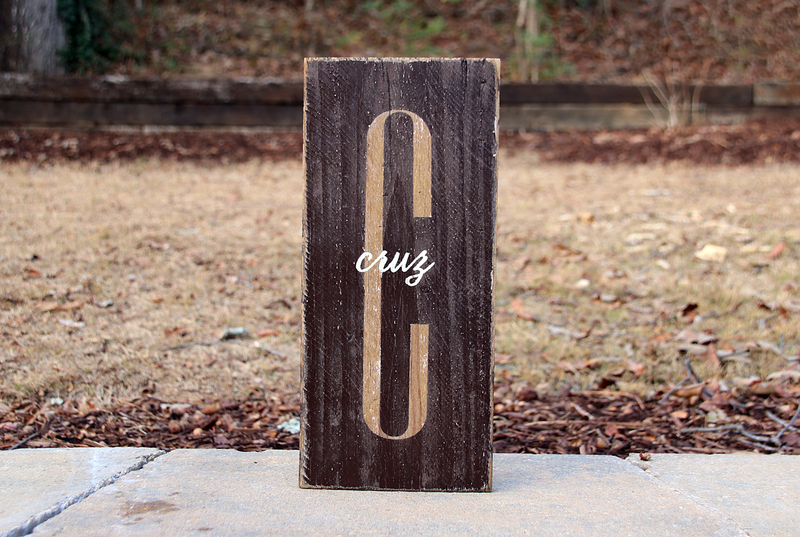 Carefully painted reclaimed wood plank boards, the varied colors, knots, cracks, and textures in the weathered wood makes each sign completely unique. 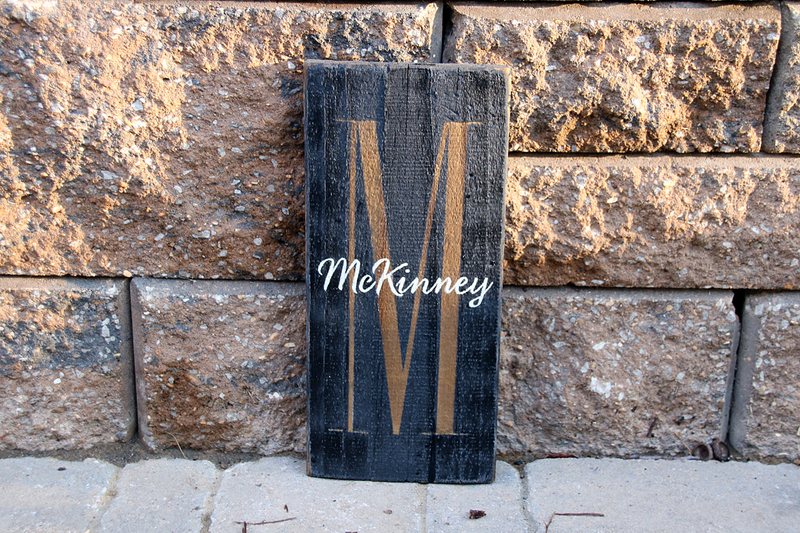 The Monogram with Name Overlay Sign will add a personal touch to a gallery wall collage, or displays nicely on it's own on hard-to-decorate narrow wall spaces. 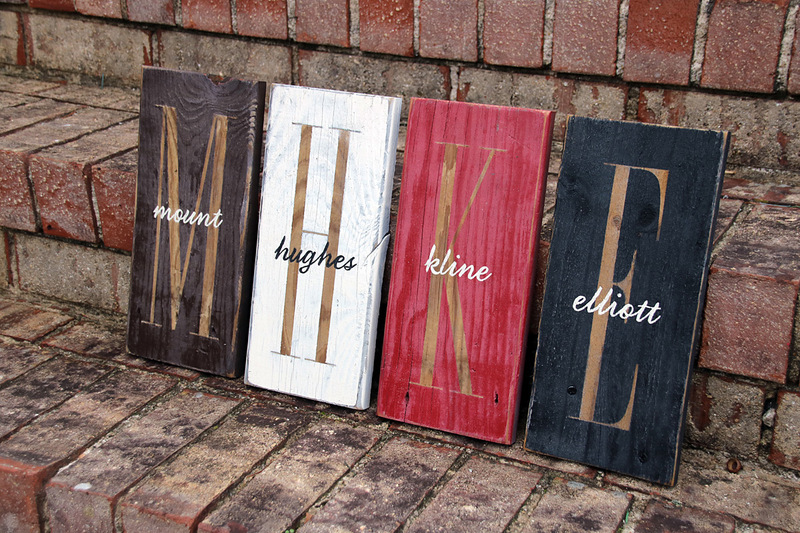 The simple layered text design is great for last names and first names too and makes a fantastic personalized gift for teachers, friends, neighbors, relatives, bridal showers and newlyweds! 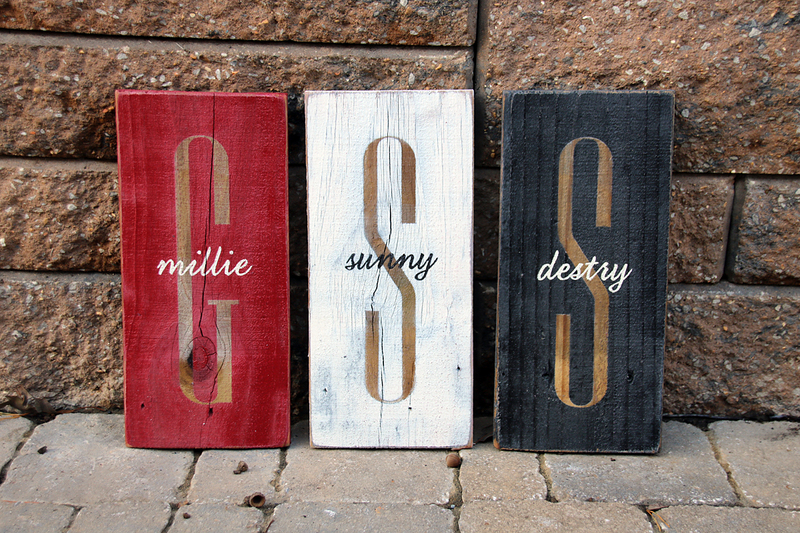 Each sign features a natural wood uppercase monogram initial, with a painted lowercase* script overlay and is available in four color choices of black, white, brown or red. *If you prefer the script overlay to start with an uppercase letter, please make note in the comments section of your order, and I'll be happy to adjust the design for you. For names such as "McDonald" or "VanDyke", I will use uppercase letters at the start of each portion of the name for better readability. Choose the letter you'd like to use for the monogram. Enter the script text to lay over the monogram (up to 9 letters). 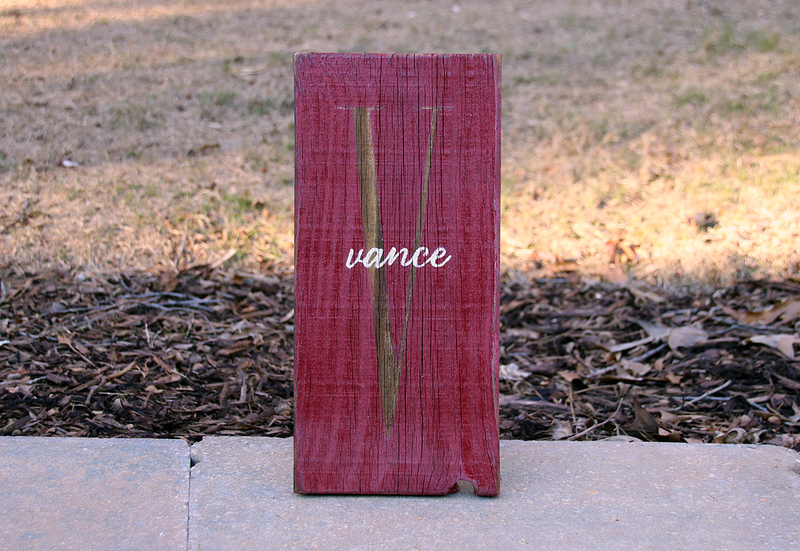 My wood signs are really and truly made "by Andrea" -- and good things take time! TURNAROUND TIME: Orders placed by Tuesday will be shipped the same week, by Friday or Saturday. Orders placed Wednesday or later will be shipped no later than Friday or Saturday the following week. You will receive an email when your sign is scheduled for both painting and shipment. Orders are shipped via USPS Priority Mail, which arrives in 3-4 days. Express shipping is not available. Just wanted to tell you that my sign arrived today and it is perfect! Will definitely order again. Thanks and enjoy the holiday.